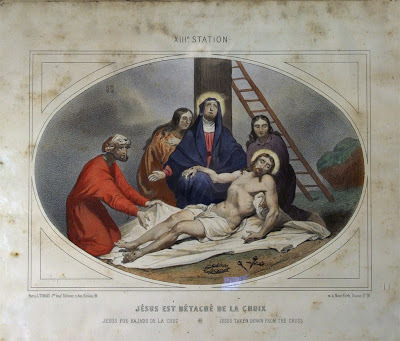 At the invitation of Bishop Louis DuBourg, nineteenth century Jesuits arrived in St. Louis in 1823 hoping to work among the Indian people in the St. Louis area. They soon discovered that effective ministry would require the sending of men into the American west while the bishop discovered that the Jesuits could administer a college he had founded in 1818. 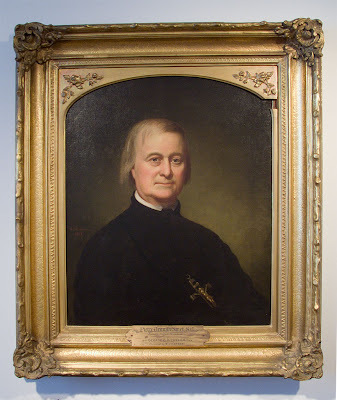 Saint Louis University was taken over by the Society of Jesus in 1832 and missionaries like Father Peter De Smet, S.J. were sent from St. Louis, following the paths already blazed by St. Louis fur traders and frontiersmen. The original Indian mission of St. Regis established in Florissant, Missouri, was made over into a Jesuit community dedicated to the training of young Jesuits. 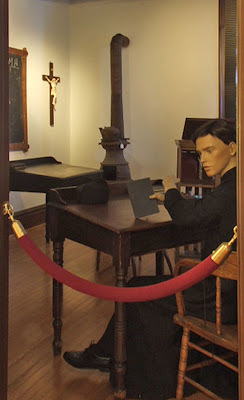 For more than 150 years, St. Stanislaus was an academic community and a community of prayer. 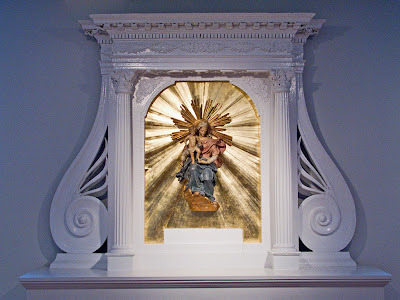 It was also the "motherhouse" for the Missouri province, a sprawling complex of buildings, farms and orchards. 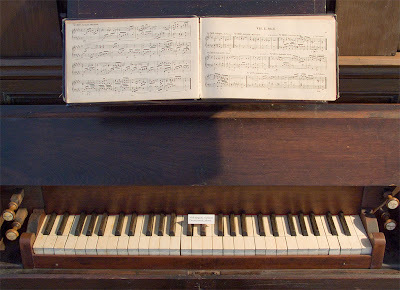 Over time, it became a repository for art, missionary artifacts, books, and basic necessities. When the complex was finally shuttered in 1973, the original stone building on the property was dedicated as a museum. In 2001, the collection housed in the "rock building" was transferred to the Saint Louis University Museum of Art. 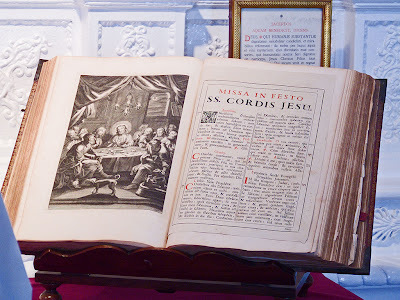 Today, the Collection of the Western Jesuit Missions fills the entire third floor of the museum. 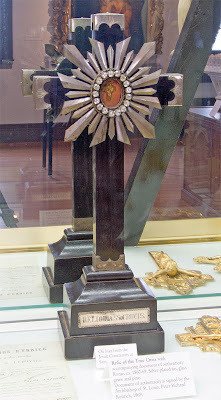 The artifacts illustrate not just Jesuit and Catholic life but also the frontier experience of the Jesuit missionaries. 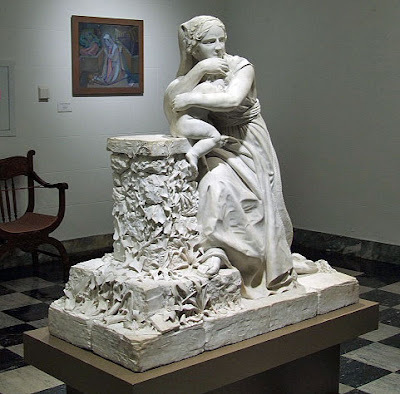 Art and artifacts reflect a universe of experience, and illustrate art over the centuries and the artifacts of continents and creeds. Click here for photos of the old Saint Stanislaus Seminary, in Florissant, Missouri, located about 21 highway miles northwest of the museum. On behalf of the Indians he crossed the ocean nineteen times, visiting popes, kings, and presidents, and traversing almost every European land. By actual calculation he travelled 180,000 miles on his errands of charity. His writings are numerous and vivid in descriptive power, rich in anecdote, and form an important contribution to our knowledge of Indian manners, customs, superstitions, and traditions. The general correctness of their geographical observations is testified to by later explorers, though scientific researches have since modified some minor details. Almost childlike in the cheerful bouyancy of his disposition, he preserved this characteristic to the end, though honoured by statesmen and made Chevalier of the Order of Leopold by the King of the Belgians. That he was not wanting in personal courage is evinced by many events in his wonderful career. Though he had frequent narrow escapes from death in his perilous travels, and often took his life in his hands when penetrating among hostile tribes, he never faltered. But his main title to fame is his extraordinary power over the Indians, a power not other man is said to have equalled. To give a list of the Indian tribes with whom he came in contact, and over whom he acquired an ascendancy, would be to enumerate almost all the tribes west of the Mississippi. Even Protestant writers declare him the sincerest friend the Indians ever had. Father De Smet sought to preserve Indian culture and lands, while encouraging among them a moral life: opposing constant warfare between tribes, the enslavement of women, and the consumption of alcohol. He hoped to replicate in North America the relative successes seen with the native peoples in Latin America. But by the time of his death, national policy became overwhelmingly influenced by Darwinism: the struggle between the races was encouraged as an inevitable fight for the "survival of the fittest", and the Indians became targets for elimination. This attitude of our government was only changed in recent decades by new policies of socialism, which are hardly better. Click here for two of Fr. De Smet's books, available for reading online. 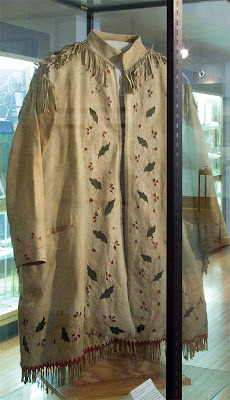 An Indian jacket; decorated with holly? 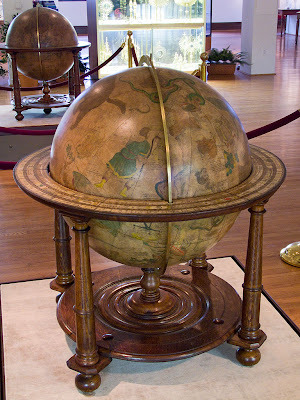 Two ancient globes, one of the heavens and the other of the earth. 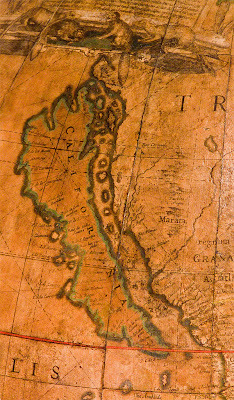 A close-up of California on the terrestrial globe, which until three hundred years ago was thought to be an island. This supposition isn't surprising, since inland California is a vast swamp. 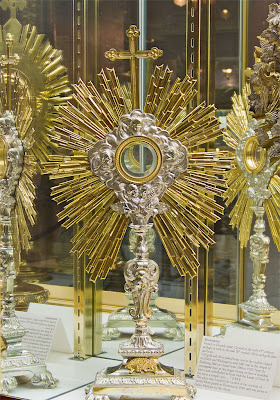 Relics of Saint Victoricus, removed from the altar at SLU's Saint Francis Xavier Church during post-Vatican II renovation. 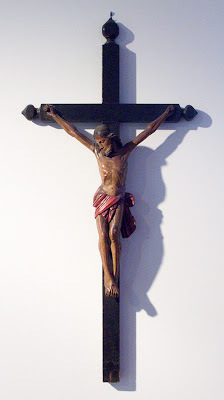 Relic of the True Cross. 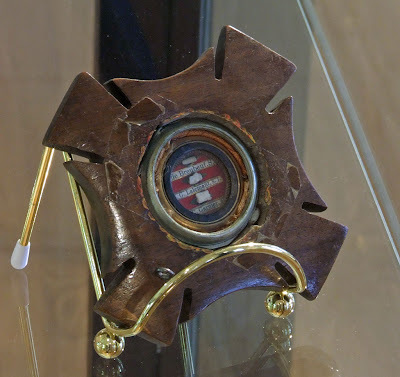 Relics of some of the North American Jesuit Martyrs, missionaries to the Huron in what is now Quebec and New York State, who were killed in the 1640s by Iroquois and Mohawks. Their feast day is collectively on October 19th in the general calendar, and on September 26th in Canada. 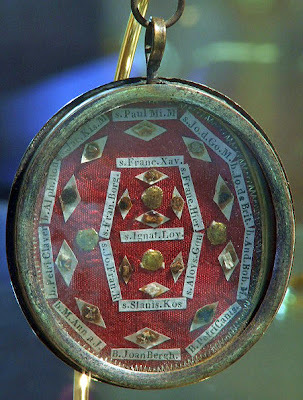 Relics of the Jesuit Saints. 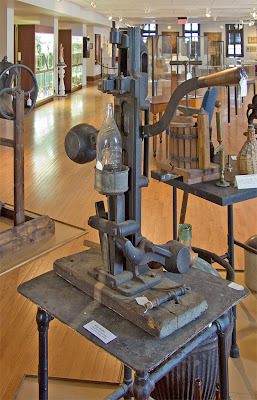 I'm not sure if relics ought to be in a museum. 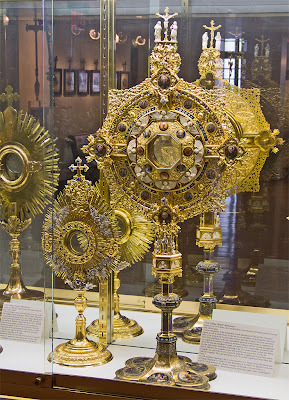 These old monstrances were used by Jesuits in Saint Louis. 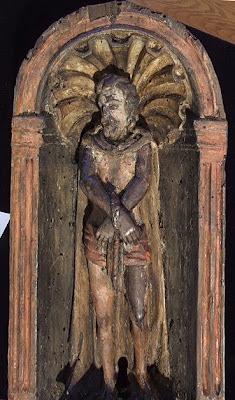 A very old carved wood tabernacle door. 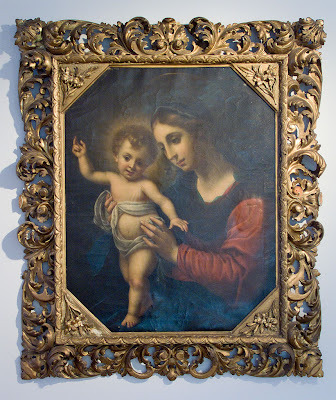 Painting of Jesus and Mary. Saint Ignatius Loyola, founder of the Society of Jesus. 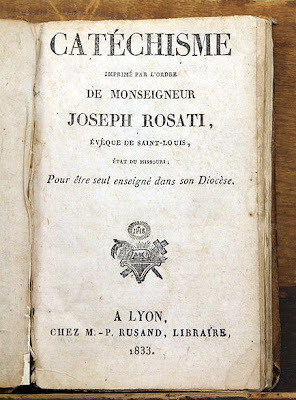 Joseph Rosati's catechism in French, dating from 1833. 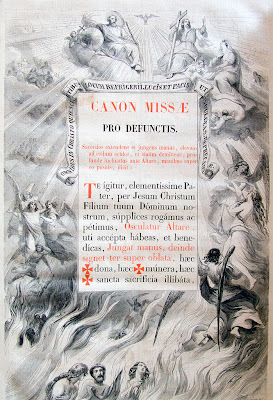 Rosati was Bishop of the Diocese of Saint Louis until 1843. 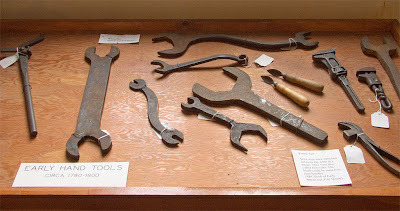 A classroom display. Life for the seminarians in the 19th century may have been difficult, but was quite comfortable compared to life on the mission in the wilds of the American West. 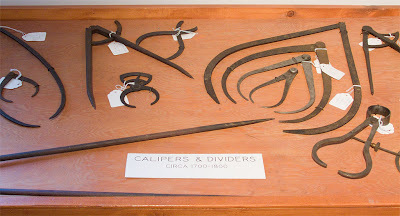 18th century hand tools used at the Jesuit seminary in Florissant. The seminary was self-sufficient, growing or making nearly everything they needed. 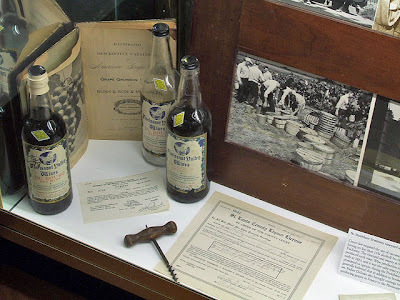 The seminary housed a winery, making sacramental wine, and it was the only winery legally operating in Missouri during Prohibition. 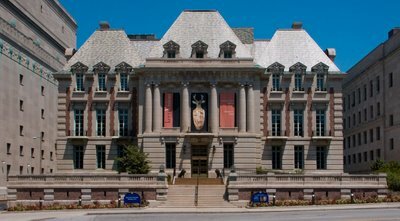 The museum is free of charge. Ah, Marcus. 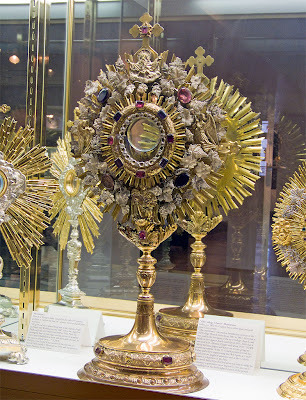 This breaks my heart...relics and monstrances in a museum. Inland California is a vast swamp? You are refering, methinks, to the Archdiocese of Lost Angels. The Central Valley is the red-state portion of California. 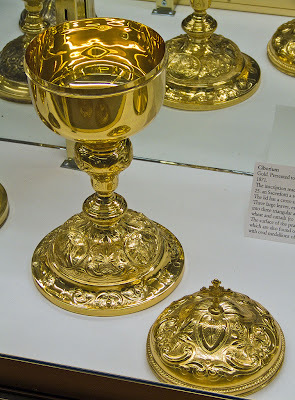 It is a shame that the relics are in a museum, but sadly they are probably safer than if many in the modern Church had them. 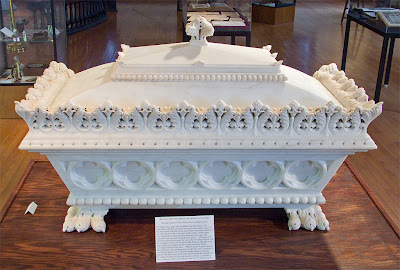 If they cared the monstrances would still be in use. Even though a lil sad, Another Great post! At least these items are not in a secular museum. They could quite easily and quickly, with proper eccesiastical authority, be returned their proper use. Early explorers thought that the north end of the island ended in San Franciso Bay. Beyond the Carquinez Straits into the Central Vally, is the Sacramento River delta, which even today after extensive drainage, is still a huge swamp. I lived there for about six months, and it was very difficult traveling from one point to another by car, due to the huge expanses of water or marshland. I used to live in LA-LA land too, and it is indeed a vast swamp, although not one of stagnant water, but of other kinds of filth. "Red staters" have been pushed out of the coastal cities, due to extremely high taxes and objectively immoral laws. Many are leaving the state altogether. Congratulations for your beautiful blog. What a tremendous work ! Inland California is more desert than anything. If an explorer were to go east from the San Francisco Bay, it's true that eventually it becomes swampy (and there are many rice pads to prove it). But this is a very tiny percentage of inland California. The Central Valley was desolate just a few decades ago because the lack of rain prevented anything from growing except some sagebrush and hearty desert plants. There is another Mission North of the Carquinez Straights and San Francisco (Mission Dolores). Francis Solano founded the Sonoma Mission in 1823 North, even of San Pablo (Norther San Francisco) Bay. There is also a Mission San Rafael in the eponymous town of Marin Country North of the Golden Gate. It is a great pity how these items ended up at St. Louis University. 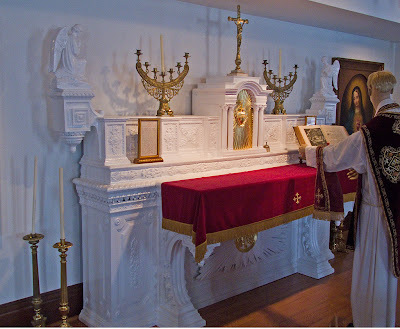 For over thirty years they had a wonderful home were many of them came from and that is at St. Stanislaus Seminary museum in Florissant. They were collected by Fr. Claude Heithaus SJ and cared for by a dedicated organization of individuals led by Fr William B. Faherty SJ. 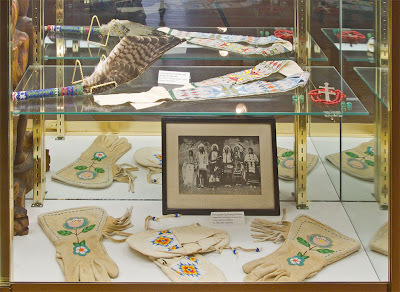 This museum collection was accessible to everyone,they had a resident caretaker, and these people did their best to preserve and protect these items. 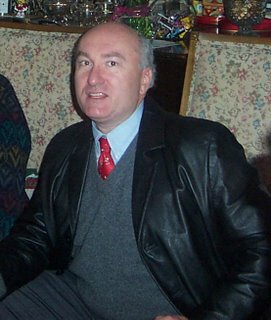 I believe this was all done without incurring any financial obligation on the part of the Jesuits.There was indeed an element of meaness to all of this and it is regrettable.